The 4 stage reform plan of the Georgian Government foresees education as a top priority with revolutionary changes in the secondary, higher, science and professional education schools. The reforms include both short and long term perspectives and aim for the professional self-realization of individuals, notwithstanding their age, nationality or religion. The short term perspective changes are ongoing. By the end of 2017, as a result of improving services, the motivation of both teachers and students will be up. There will be free lessons in schools, oriented towards developing analytical, critical, logical and creative thinking in students. 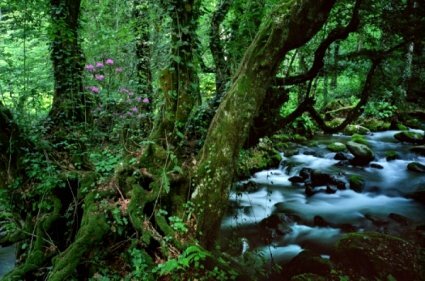 The area of Colchis wetlands and forests will be included in the list of UNESCO World Heritage Sites, as it was announced by the Agency of Protected Areas of Georgia. The aAgency together with World Wildlife Fund (WWF), is making attempts Machakhela, Mtirala and Kolkheti National Parks, as well as Kintrishi and Kobuleti protected areas, to be included in the list of UNESCO World Heritage Sites. The Ministry of Environment Protection and Agriculture, Agency of Protected Areas and WWF Caucasian Representatives Davit Markozashvili, Chairman of the Agency of Protected Areas, has discussed the importance of the project at the meeting with interested sides, attended by independent experts, local self-governmental and NGO representatives. 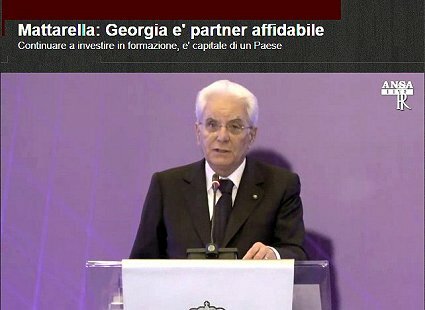 The Italian President, Sergio Mattarella, during its travel to Tbilisi said that Georgia is a reliable and stable country in a strategic geographical position. Its development program is very important: Europe should foster economic exchanges with Georgia and Italy has a number of complementar interests with this country. 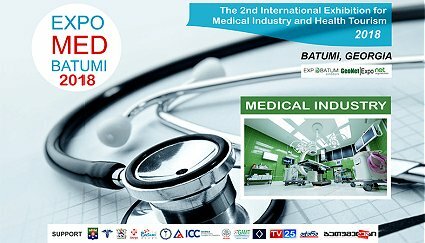 Expo BATUMI Exhibition Company EXPOED BATUMI 2018 is hosting the second international exhibition "Medical Tourism and Equipment" at Hotel "Sheraton" in Batumi. The organization invites both local and foreign companies to participate in the exhibition. Exhibitors will present modern medical technologies, medical institutions and schools, dental clinics, pharmacies, pharmaceutical companies, hygienic and cosmetic care products, leading plastic surgery clinics and medical tourism companies. The International Exhibition "EXPOMED BATUMI 2018" promotes improved health care in the region. Representatives of leading medical clinics of different countries will be invited. During the exhibition, presentations, presenting modern medical technologies, contracts for future cooperation will be arranged and bilateral meetings will be arranged. Companies from Georgia, Russia, Turkey, Ukraine, Azerbaijan, Armenia, Iran, Poland, Belarus are participating in the exhibition. "EXPOMED BATUMI 2018" co-organizers are: Adjara A. Government, Adjara AR Ministry of Health and Social Affairs, Batumi City Hall, Adjara Chamber of Commerce and Industry, International Investors Association of Georgia, Media Supporter - Adjara TV, TV 25 and Newspaper "Ajara" "CAUCASUS BUSINESS WEEK"
The famous Kukushka train on Borjomi-Kharagauli railway has been given intangible cultural heritage status. The news was announced by Nikoloz Antadze, the head of National Agency for Cultural Heritage Preservation of Georgia. 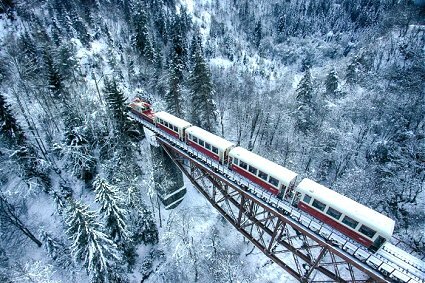 The well-known train was renovated last year, yet it has still preserved its original appearance .The train consists of four carriages; each of them can carry up to 23 passengers. Borjomi-Kharagauli railway is the sole narrow railway of Georgia that connects Borjomi and Bakuriani. The railway was opened in 1902. Before 1967 steam-engine used to move through the railway but then it was substituted by an electric train, known under its nickname Kukushka (Cuckoo in Russian).